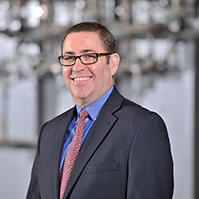 Albany, NY – November 15, 2017, Blasch Precision Ceramics, Inc., an Albany-based ceramic technology manufacturer, announces that Jack Parrish has been named President and CEO, according to Dave Bobrek, former CEO. Parrish has been with the company since 1998 and has been responsible for the integration and execution of Blasch’s management and operating systems, (EOS- Entrepreneurial Operating System) leading the company into new areas of growth and innovation. “Jack’s promotion to President and CEO fulfills an important transition for Blasch, as Jack has earned this promotion through his dedication and execution of his duties in his previous roles as CFO, Executive VP, and most recently President and COO” stated Bobrek, who is currently Executive Chairman. Recent new agreements with Dupont/Dow have provided Blasch with multi-national and global distribution channels for new products aimed at the petrochemical industry. Parrish also led efforts to widen its international distribution system within other markets such as metallurgical and its Global Specialty Products division, which has also grown significantly over the past few years.